A boat travels 25km downstream and 12km upstream in 9 hours. The same boat travels 10km downstream and 24 km upstream in 10 hours. How much time will the same boat take to travel 15 km downstream and 6km upstream? The speed of boat is that of the current of water as 23:13. The boat goes along with the current for 6 hours 15 minutes it will come back in? A man can row a boat to a certain distance downstream in 8 hours and takes 10 hours to row upstream the same distance, the speed of the stream is 10 km/hr; find the speed of downstream? A boat goes 57 km in 6hours along the stream and 34 km in 4 hours against the stream. Speed of the stream is ? 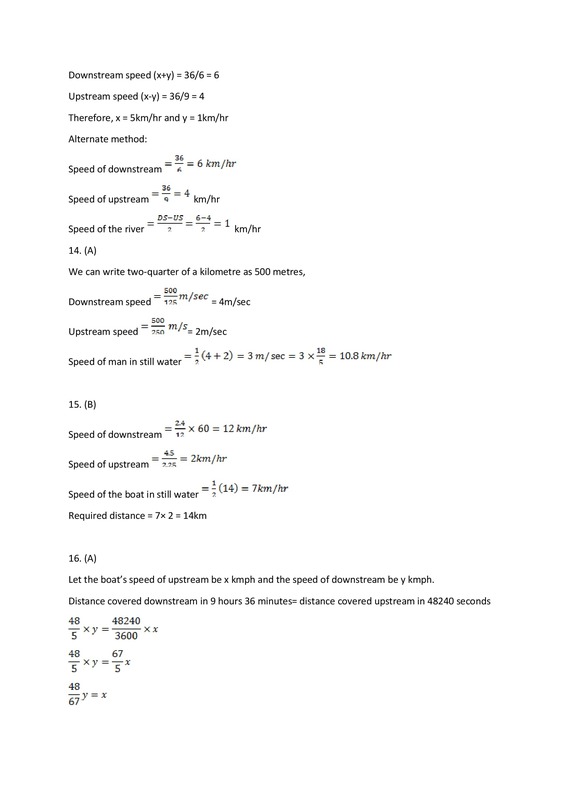 If the speed of the current is 8 km/hr and a man takes thrice the time to go upstream as to row downstream, find the speed of upstream? A boat covers a certain distance downstream in 12 hours but takes 16 hours to return upstream to the starting point. If the speed of the stream be 8 km/hr, find the speed of the boat in still water. A motor boat travels 6 hours for upstream and same time for downstream to cover the 96km in the stream which speed is 2 kmph. Find the speed of the motor boat in still water? If the rate of stream is 14 kmph in still water, It takes to a man five times long as to row down the river, then find the speed of a man can row in still water? A man can row at 20 km/hr in still water. If he takes total 10 hours to go to a place 36 km away and return, then the speed of the current is? A man can row at 6 kmph in still water. 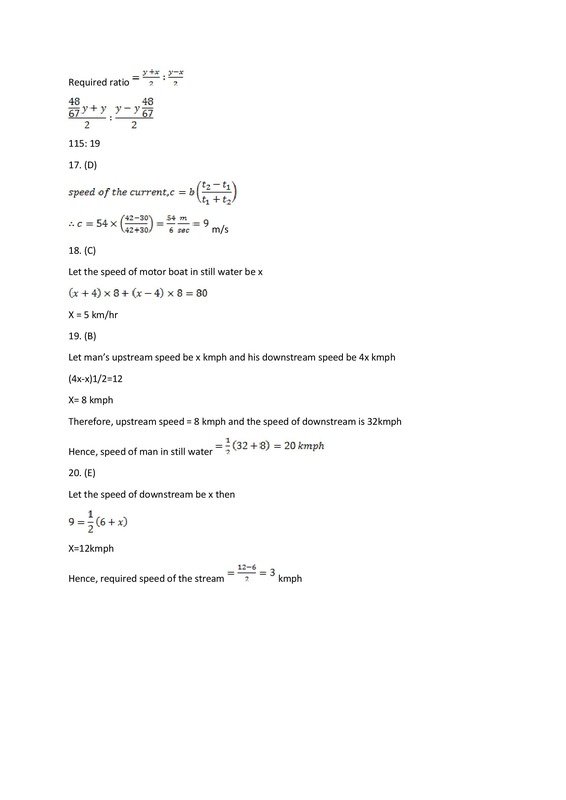 The speed of current is 3 kmph less than the speed of downstream, if the speed of upstream is 3 kmph then what is the speed of stream? A man finds that he can row 8km with the stream in the same time as 6 km against the stream. He can row to a place 72 km distance and come back in 10 1/2 hours. The rate of the stream is? 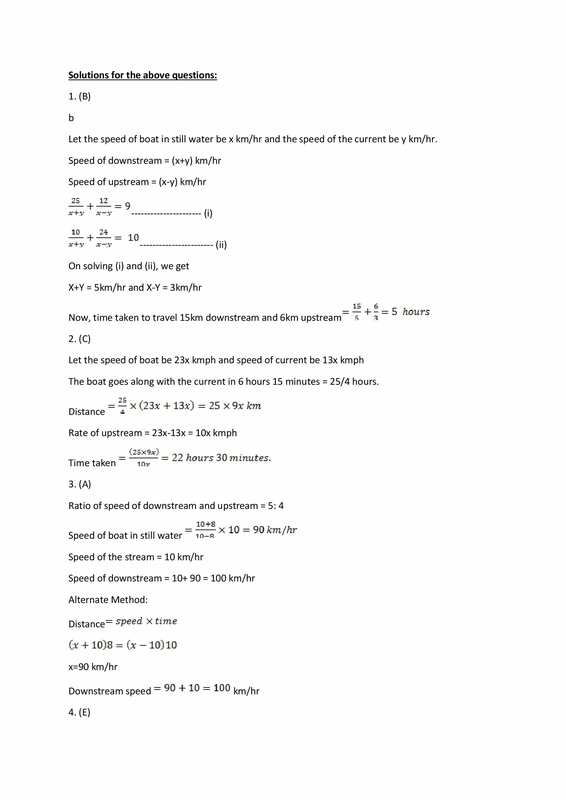 The speed of boat in still water is four times more than the speed of stream, then what is the ratio between the speed of downstream and the speed of upstream? A man sails 36 km along the flow of a river in 6 hours, if it takes 9 hours to return the same distance, then the speed of the flow of the river is? A boatman will take 2 hr to go certain distance in stationary water and he goes 4500 m against current of the stream in 8100 seconds and goes 2400 metres along the current in 12 minutes, then what is the distance travel by boatman in still water? A boat takes 48240 seconds to cover a certain distance running upstream, while it running downstream takes 9 hours 36 minutes to cover the same distance. What is the ratio between the speed of boat in still water to the current? A swimmer covers a certain distance downstream in 30 minutes but takes 42 minutes to return upstream to the starting point. 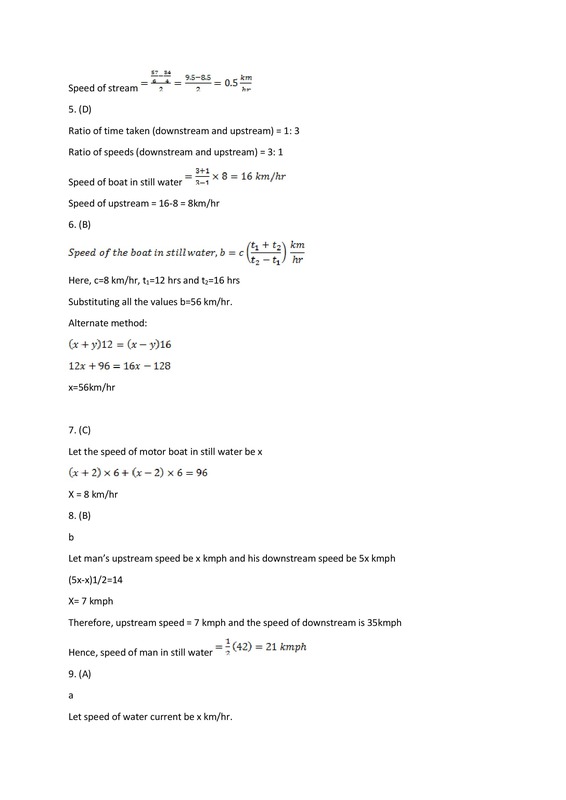 If his speed in still water is 54 m/sec, find the speed of the current. A motor boat travels 8 hours for upstream and same time for downstream to cover the 80km in the stream which speed is 4 kmph. Find the speed of the motor boat in still water? If the rate of stream is 12 kmph in still water, It takes to a man four times long as to row down the river, then find the speed of a man can row in still water? A man can row at 9 kmph in still water. If the speed of upstream is 6 kmph then what is the speed of the stream? 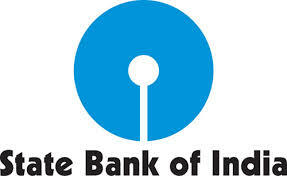 You can inspect the other daily quizzes which we post in the SBI CLERK PRELIMS EXAM STUDY PLANNER 2018 from the below given links. 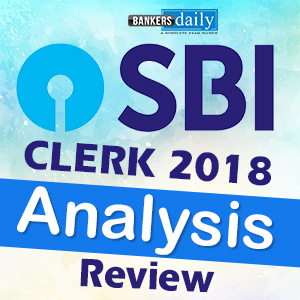 Our Team is updating the Daily Quizzes regularly so that, these quizzes will hep your preparations and also to master the SBI CLERK EXAM 2018. Preparing hard is important , by attending our daily quizzes, you are preparing in a smarter way. Also alternately bookmark the below given page , so that this will be useful for your daily preparations.